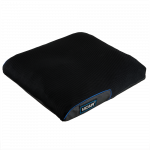 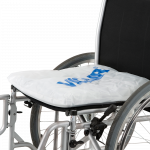 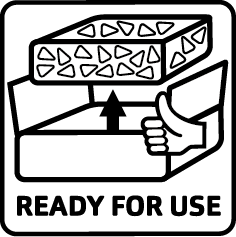 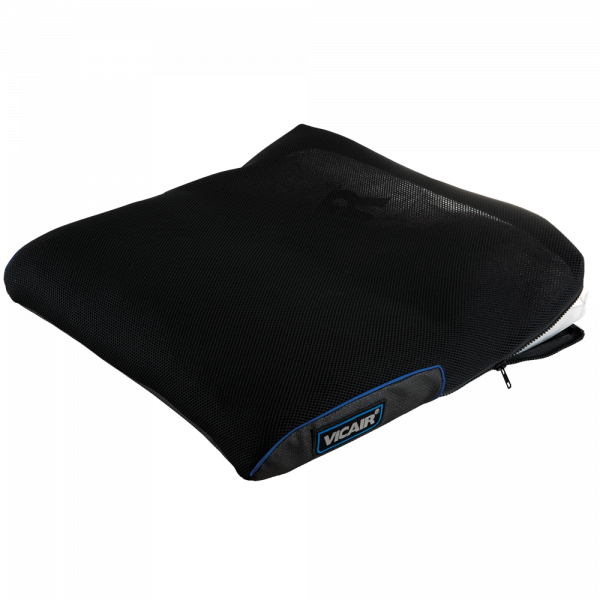 The wheelchair cushion Vicair Liberty Profile is an easy to use and comfortable cushion for occasional use. Designed for comfort in combination with a low to medium level of support and pressure ulcer prevention. 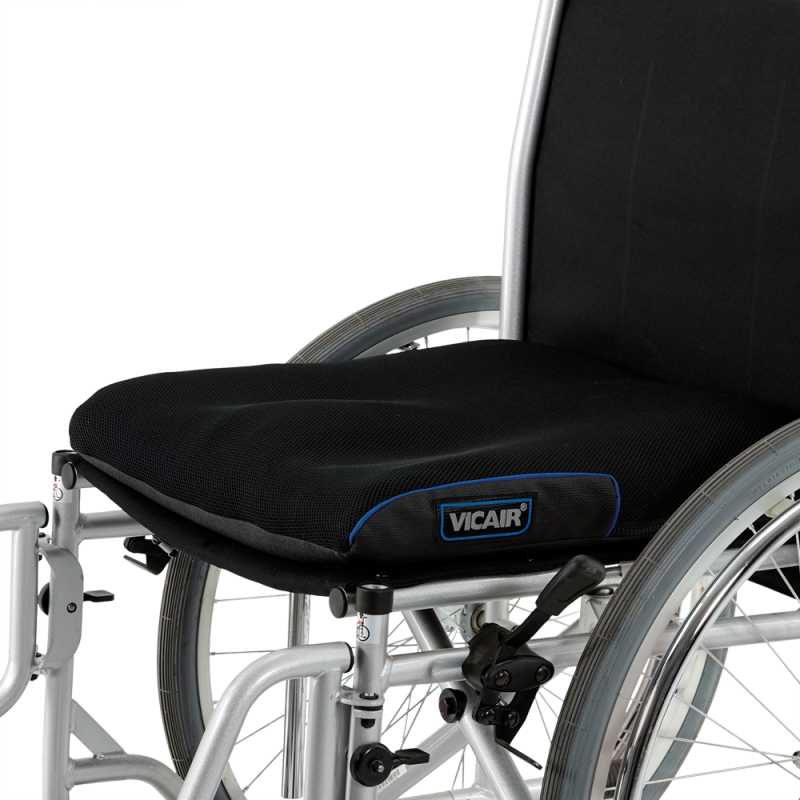 The Vicair Liberty Profile has an integrated foam base with a semi-circle cut out at the location of the sitting bones. 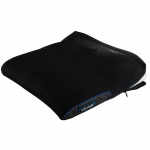 The combination of SmartCells and foam-base supports pelvic stability and offers a high level of comfort in the IT-Coccyx zone. The added second air valve allows an even easier automatic adaption to the body shape. 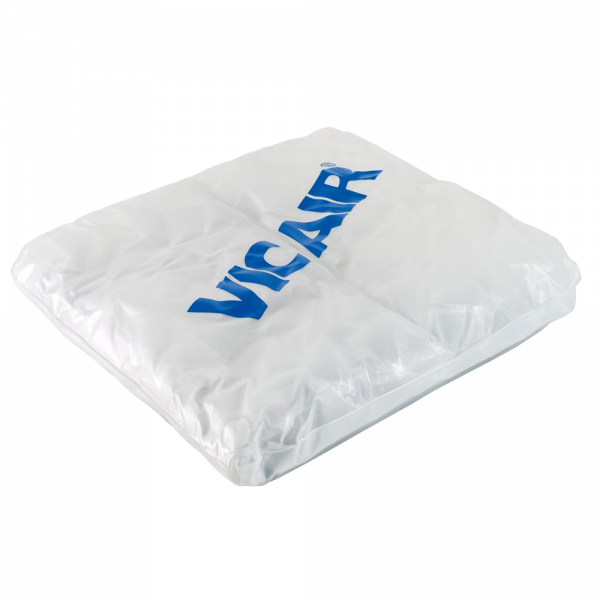 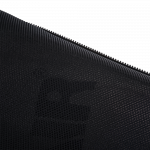 This Vicair wheelchair cushion is ready-for-use, rain proof and very lightweight. 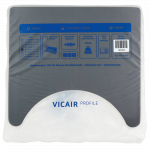 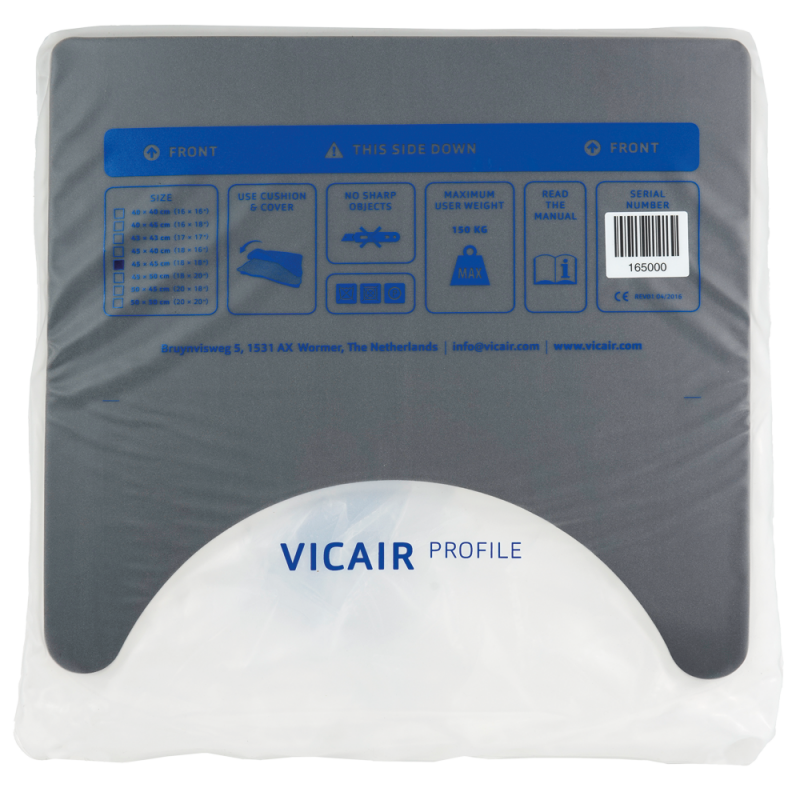 For extra comfort the Vicair Liberty Profile is available with an Air Exchange cover. 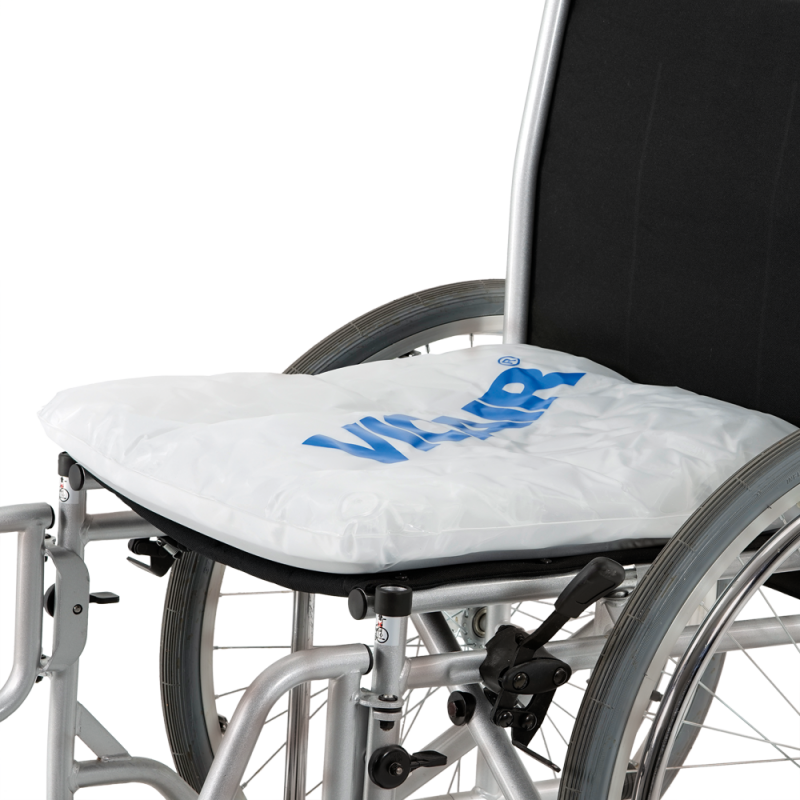 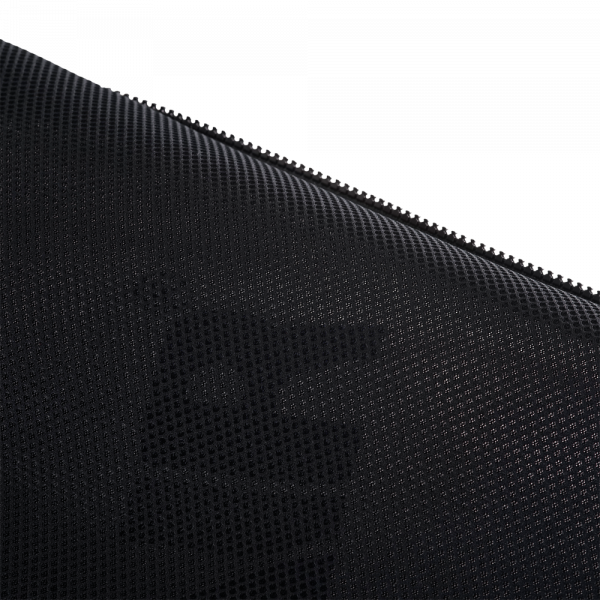 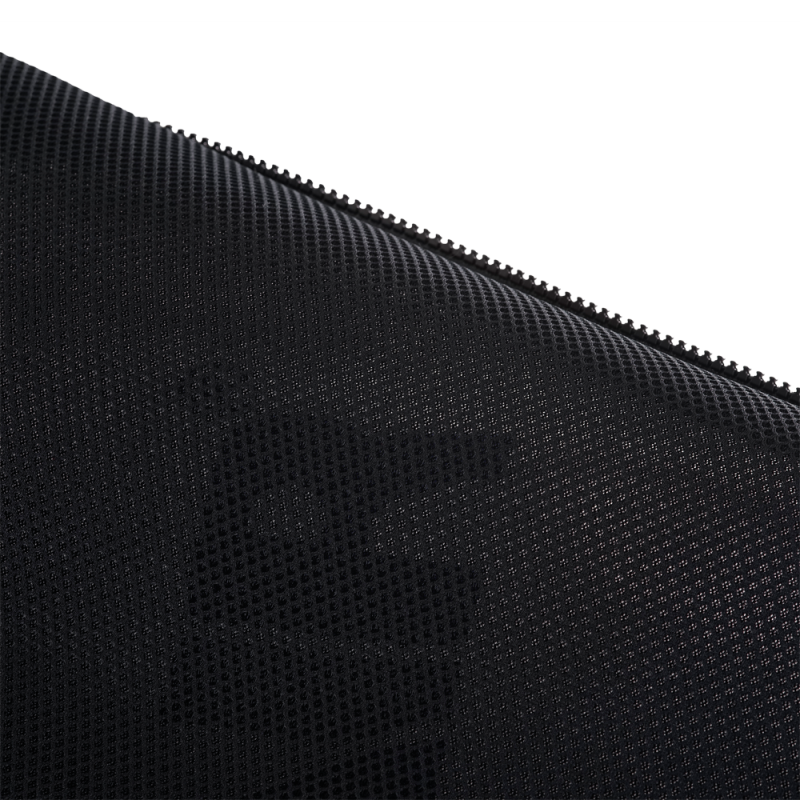 This cover is made of 3D mesh fabric, to make it extra breathable and comfortable.